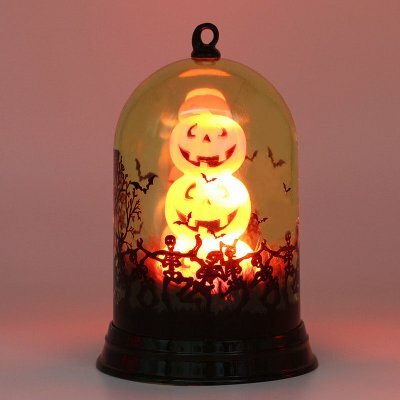 Successfully Added Stylish Halloween Pumpkin Witch Light Lamp Hanging Light for Halloween Decoration to your Shopping Cart. -- Made of top-ranking transparent PVC material, safe and practical. -- With exquisite patterns, makes the product more sturdy and beautiful. -- Powered by 3xAAA battery (not included), low voltage security, with bright colors. -- Perfect for bar, KTV, shopping mall scene layout, table decoration props, etc. Witch lights for color changing lights. Pumpkins, lynxes, candles for flashing lights, adding a terror atmosphere.